Granny Goose® has been producing quality snacks since 1946 and is committed to creating fun and wholesome snacks for all occasions. 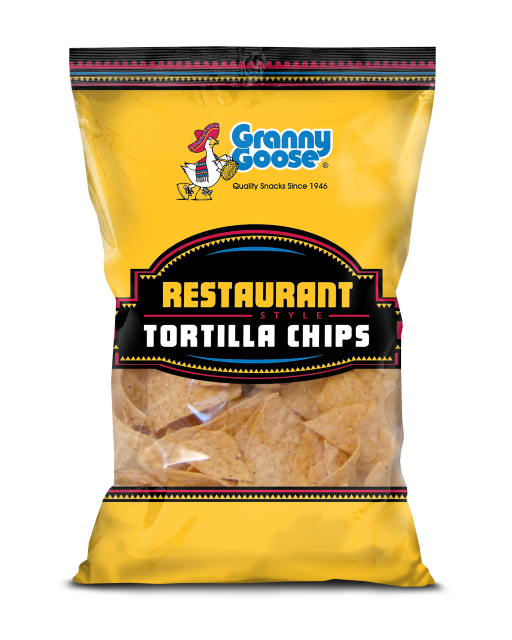 Granny Goose® Restaurant Style Tortilla Chips are made with No Hydrogenated Oils and 0g Trans Fats per serving. Share Granny Goose? Restaurant Style Tortilla Chips with family and friends anytime, anywhere and they will love them as much as you do. Great with your favorite salsas or straight from the bag.